The president of Brazil’s Central Bank, Henrique Meirelles, observed that Brazilian companies have been raising their participation in the capital of foreign companies, as well as increasing their investments abroad to a substantial degree. . He said that between 2001 and September, 2005, foreign investments by Brazilian companies grew around 44% and their participation in foreign companies reached US$ 13.8 billion last year. In emphasizing the increased participation of domestic companies in the globalized world, Meirelles referred to the matter of "comparative advantage." In his view, this question is significant from the perspective of the country, the enterprise, and the individual. According to Meirelles, this is occurring in India in a unique manner. Besides the comparative advantage of speaking English, Indians in call-center services are presently being trained to imitate the accents used in the regions of the United States from which calls originate. "In India, nowadays, this is seen as a big opportunity for globalization and expansion. These individuals possess a significant comparative advantage for this particular kind of work," he affirmed. In Meirelles’ view, another important aspect is risk-hedging, which is currently a global phenomenon, with exchange rates becoming more efficient and damping imbalances in international trade and capital flows. He underscored that risk-hedging applies to economic cycles as well as exchange rates. In this sense investments abroad serve as a hedge inasmuch as they act to cushion the effects of eventual domestic crises. "This provides us greater security and stability. We are realizing what globalization allows us to do, not to try to go backwards in time, but to help eliminate the normal volatility of the economy, seeking to extenuate it as much as possible. However, we must also move ahead, with intelligent hedging operations, taking advantage of precisely these opportunities," he added. Beginning in 2002, imports began to grow, and exports expanded even more. "This shows the Brazilian economy’s competitive capacity, and it represents the fruit of economic stability," he commented, emphasizing that "only stability provides the conditions to plan over the long term, invest, and grow." You could do the same ! Learn English during your schooling ! But Nooooooo, Brazil is too smart. Since recently (a year or so) your mandatory second language is Spanish. I suppose you trade and communicate with Russia, China, Germany, Holland, Japan….in Spanish or Portuguese ! 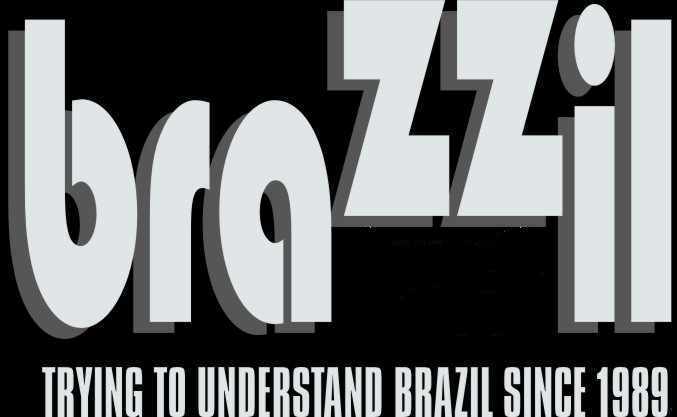 Not very clever… the Brazilian mind that wants to participate in the Globalization !